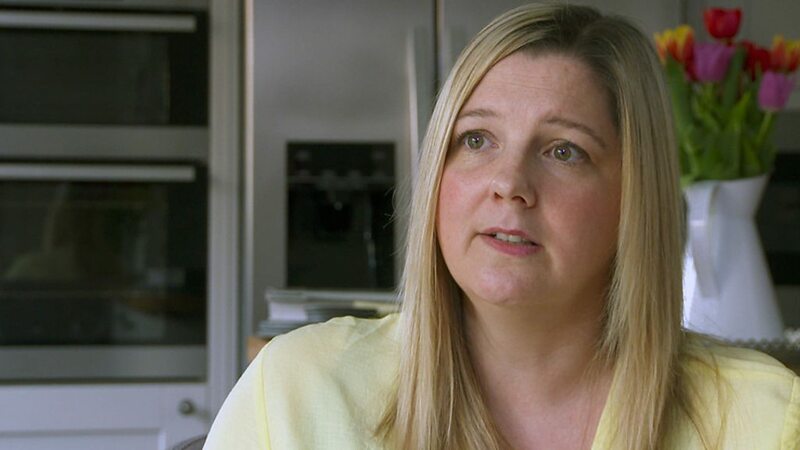 Linzi Page thinks her bowel cancer was not diagnosed because doctors do not expect people under 50 to get the disease. The 36-year-old first went to see her GP in January last year after weeks of “strange” bowel movements and rectal bleeding. Linzi, from Burntisland in Fife, told BBC Scotland’s The Nine that her doctor was “dismissive” and said it was “probably” Irritable Bowel Syndrome (IBS). The doctor carried out a routine blood test and stool sample but nothing irregular showed up. Almost three months later Linzi went to see another doctor and was sent for an “urgent colonoscopy”. At the end of April, she was diagnosed with stage 4 metastatic bowel cancer and has since been given two years’ to live. Linzi, who has two young children, says: “If I had been caught earlier I might be in a much better situation than I am currently. “I spoke to my doctors and I was very frank and I said if I had gone with the same symptoms at 60, they would have sent me for a colonoscopy. In response, NHS Fife said they were unable to comment on the care of individual patients for “reasons of confidentiality”. Bowel cancer is Scotland’s second biggest cancer killer. About 3,700 people are diagnosed with the condition every year but only about 200 are under 50 years old. Claire Donaghy, from Bowel Cancer UK, said it was difficult for GPs to recognise bowel cancer in younger people, particularly given the prevalence of IBS and other conditions. “Most GPs in their lifetime might only see one person under 50 that has a bowel cancer,” she says. Ms Donaghy said younger patients needed to be reassured that they probably had nothing to worry about but they should keep a note of their symptoms and go back if they do not improve. Linzi Page says she was “devastated” by her diagnosis. She has since found that she has tumours on her liver and her cancer has spread to her lungs. “I was told in December it was incurable and they have given me one to two years to live,” Linzi says. She is currently trying to raise funds for a drug called Avastin, which is not available on the NHS in Scotland but she hopes can prolong her life. Linzi would like to see doctors becoming more aware of the risk of bowel cancer among younger people. The NHS in Scotland currently runs a screening programme for people over 50. Linzi called for screening to be extended to people under 50 but the Scottish government said there was not enough evidence for lowering the age. Linzi says she does not want to waste her time complaining about doctors but wants to raise awareness of the condition among younger people. “My life is really precious to me, my time with my kids is really precious to me,” she says.